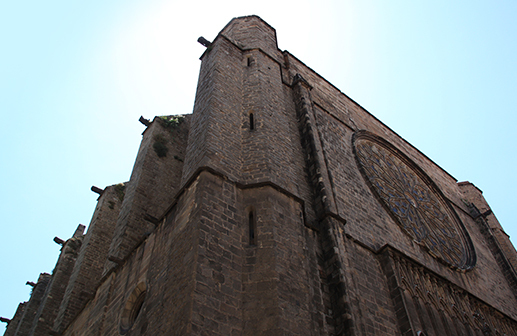 Our tours are based on the latest research on the church and they will allow you to understand the history of one of the most alive gothic buildings in Barcelona. You can visit the treasure, the crypt, the museum, the garden and the tower. 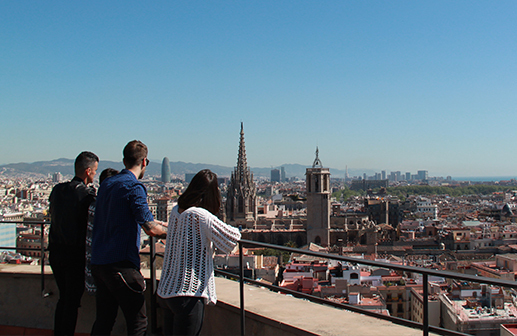 Once on top of the tower, 54 meters high, you will be able to see the amazing views of all the city of Barcelona and understand why Santa Maria del Pi’s bell tower was one of the highest religious towers of the city throughout centuries. One of the priority projects of the Santa Maria del Pi is the restoration of the roof of the building, which is essential for its conservation. Riosta Barcelona contributes to the project with the income of the guided visits.